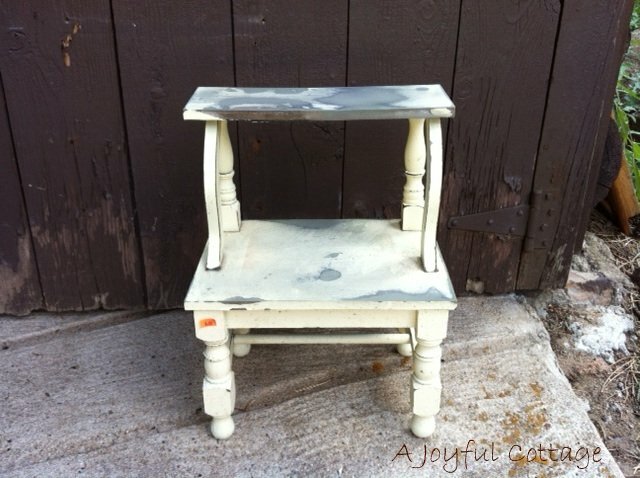 Do you get as excited about a garage sale or thrift store find as I do? I mean the kind of discovery that's super cheap and is something you can make your very own. Put your own personal one-of-a-kind stamp on it. A while back Dennis found a little shelf at a garage sale for $1. He pulled me over to see it and asked if it was something I'd be interested in. ( I love that man.) Interested? You bet. The piece was in pretty sad shape, but I knew I could turn that humble little shelf into a great display piece for my shop. Here it is just as I got started with my electric sander. The paint -- kind of a pale yellow -- was peeling, so I just went over it enough to smooth it out. It probably took all of ten minutes. Now, what color to paint it? 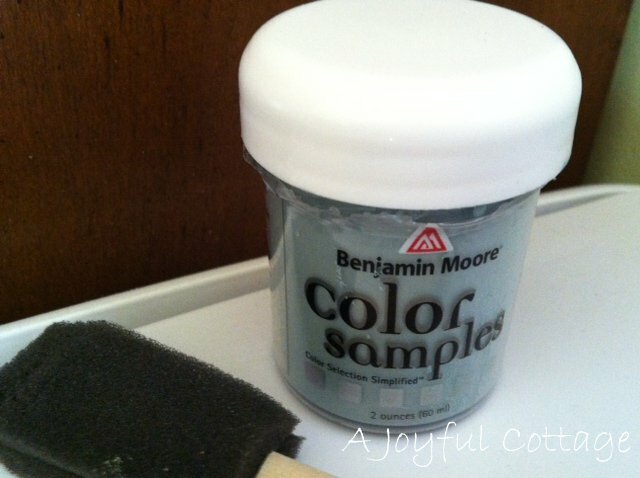 I looked through my paint stash and discovered a little sample jar of Benjamin Moore Covington Blue. I'm partial to blue and this is, in my humble opinion, the perfect shade of blue. Here she is in my shop window proudly displaying merchandise. Since the shelf won't get heavy use I didn't put a wax finish on it. And one of these days I'll have to glue a couple of loose brackets. But for now it's fine. I love the change of seasons, and the visual signs of autumn never fail to thrill me. Like these aspens across the street from our shop. 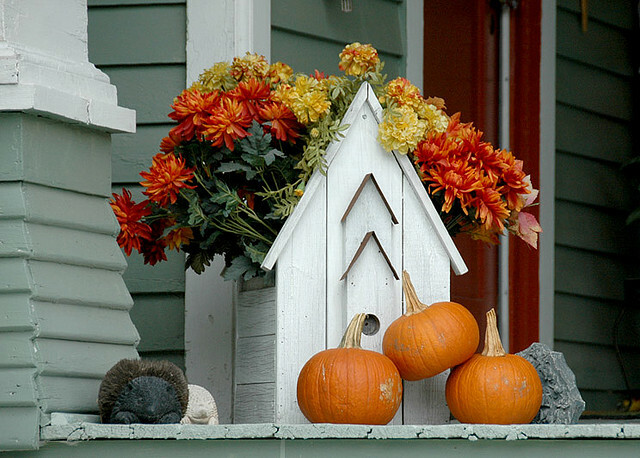 Of course, I especially enjoy fall when a cottage is involved. 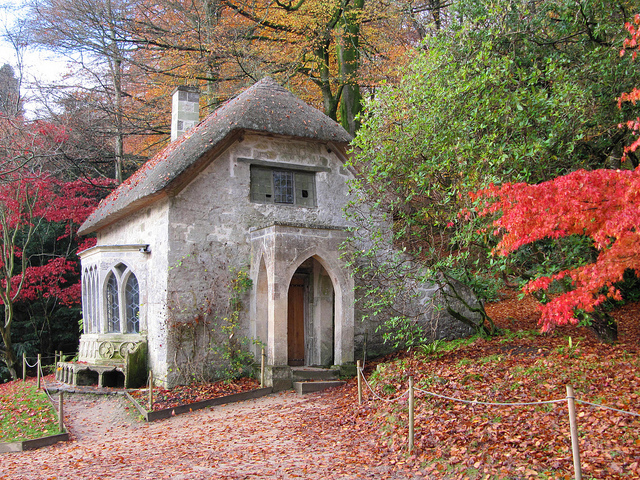 Would you agree that this photo is a delightful representation of a cottage in autumn? 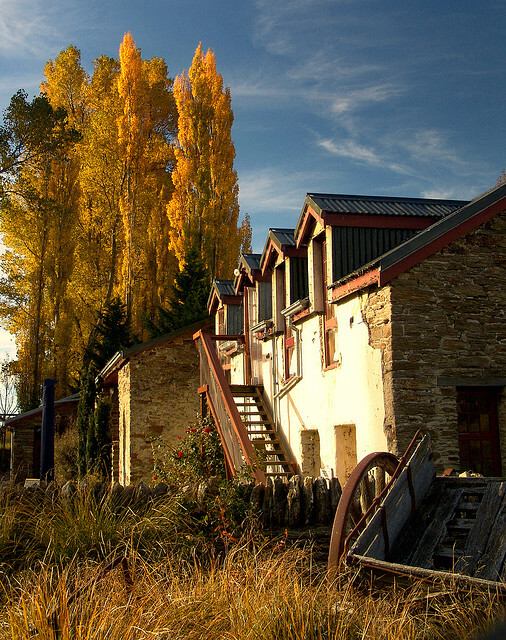 The location is Central Otago, New Zealand. 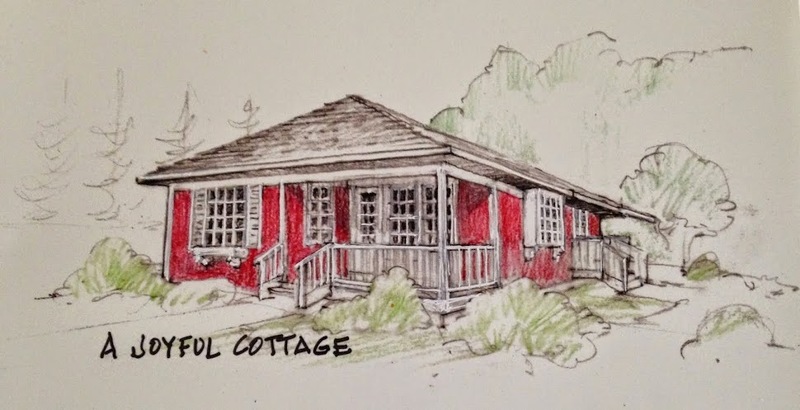 How I wish we could see more of this cottage. 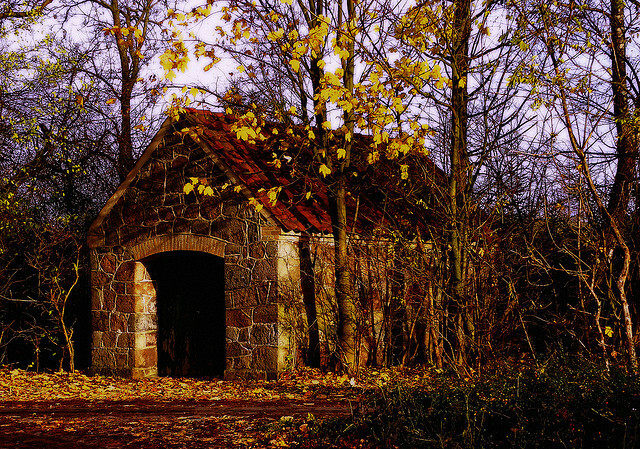 Here's a quaint Danish stone cottage in autumn. 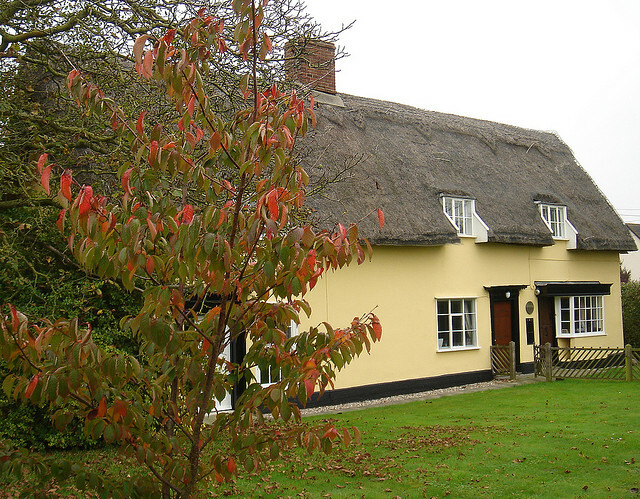 And a thatched roof Suffolk cottage. 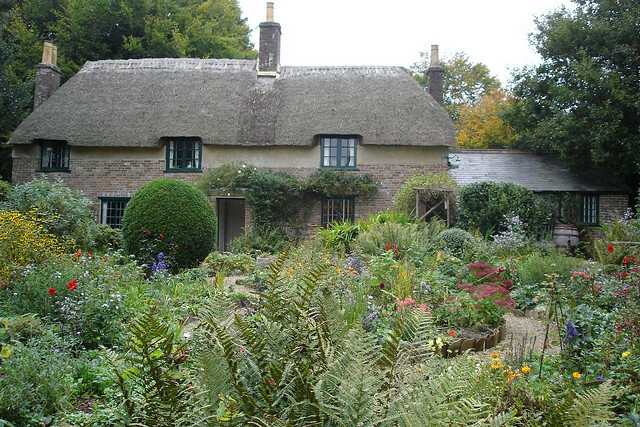 Thomas Hardy's cottage in England has a spectacular fall garden. 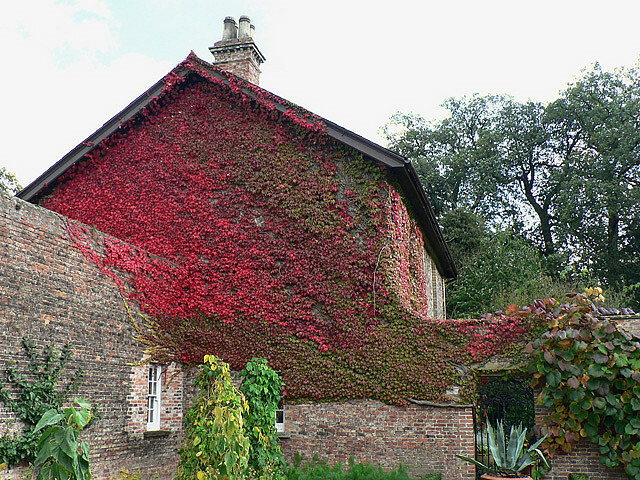 The autumn ivy on this Yorkshire cottage is breathtaking. This Gothic cottage in England is amazing. 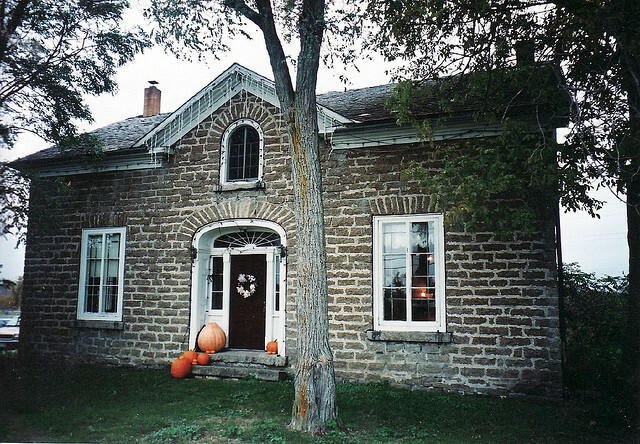 Love the pop of orange pumpkins against the dark brick and black door of this Ontario cottage. So many joyous colors to enjoy in the fall. 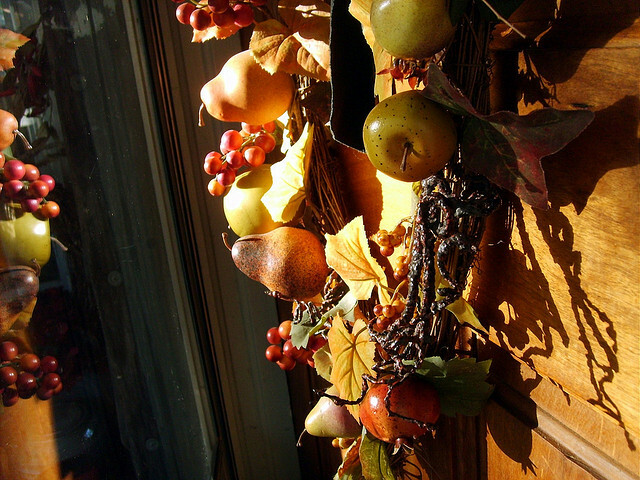 And a great excuse to decorate our porches. 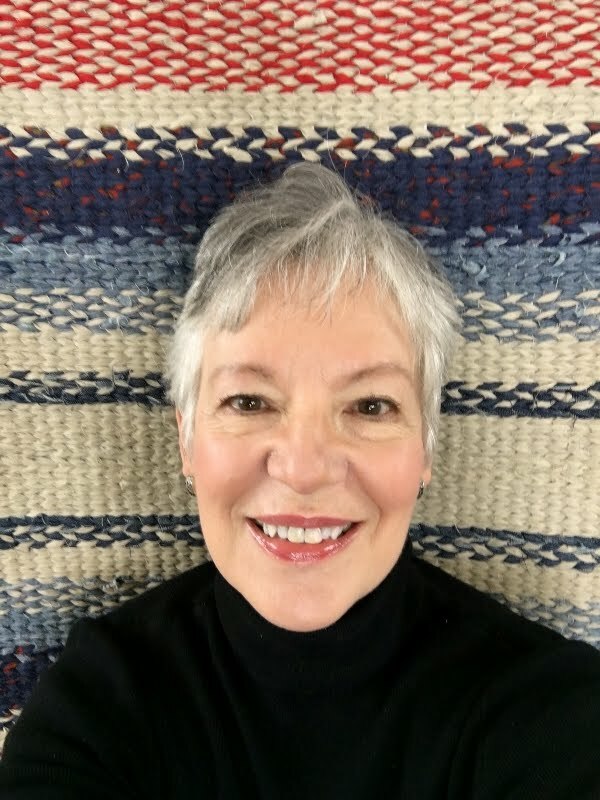 (Do we really need an excuse?) Our cottage is currently being painted, so I have to put exterior fall decorating on hold. That doesn't keep me from seeking inspiration though. And you know I love to share what I find with you. 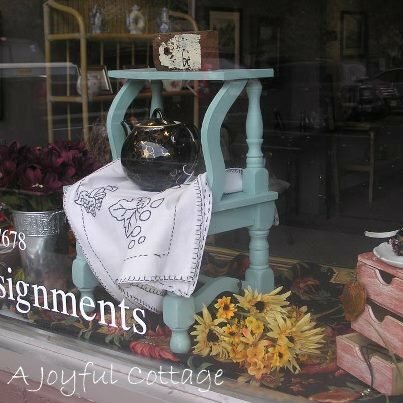 Like this cottage charm for the porch. This is a lovely entrance. 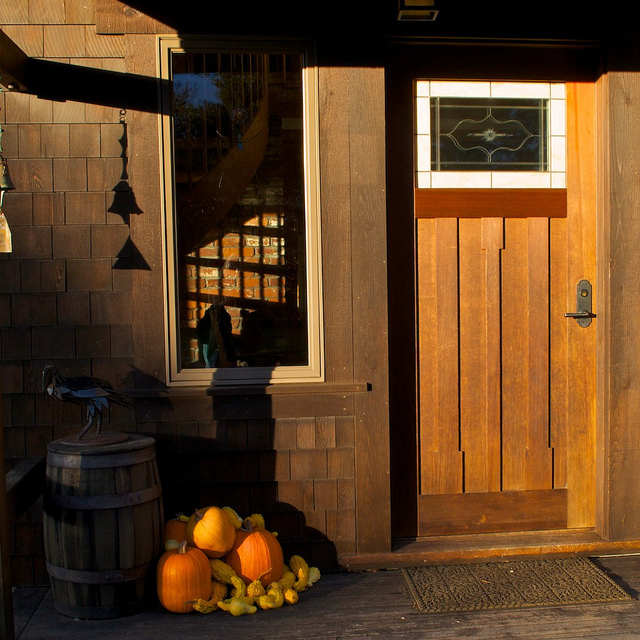 The door was made from redwood salvaged from an old wine vat. 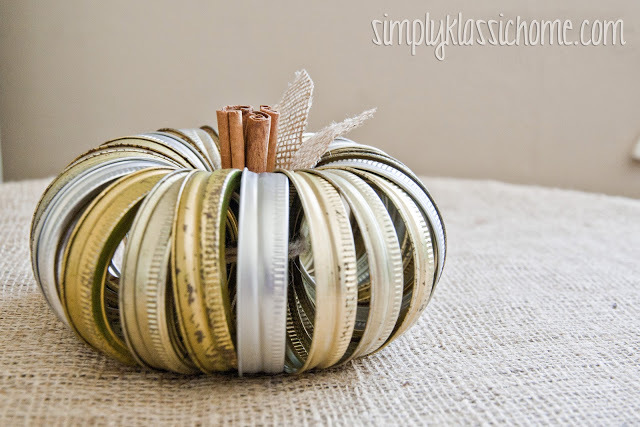 I really like the use of the barrel as a backdrop to the pumpkins and gourds. Great use of this fabulous plant stand. 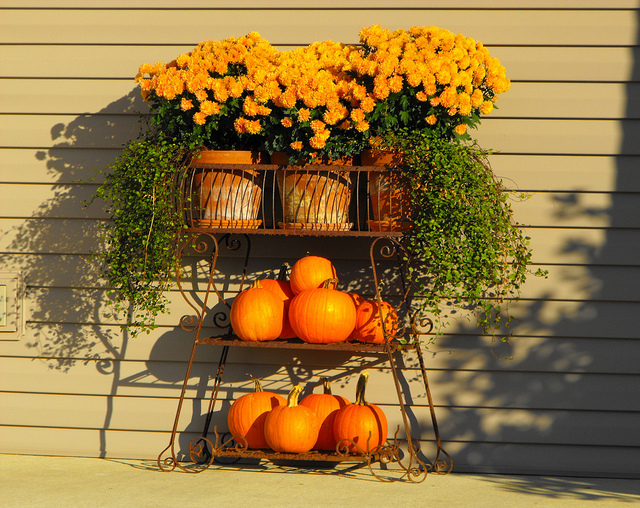 The gold mums in the shabby terra cotta pots paired with the simplicity of the smallish pumpkins on the shelves creates a very appealing fall look. 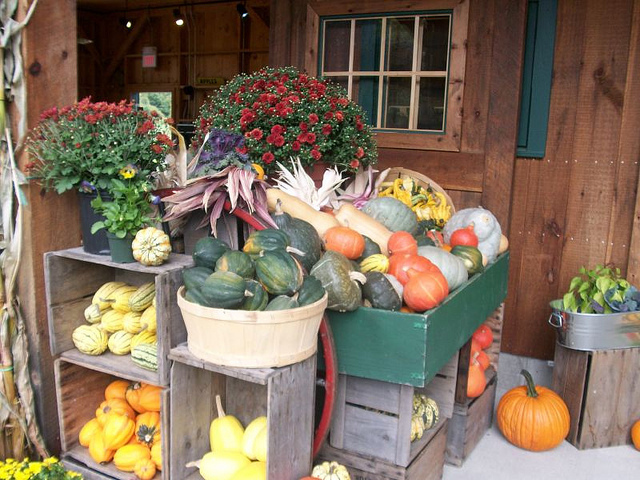 This arrangement is part of a farm stand and not a front porch, but imagine a smaller version of this at an entrance. Could be charming. 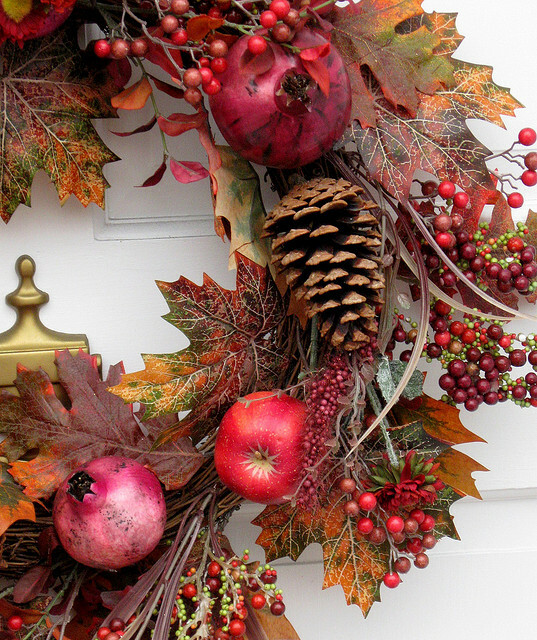 Wreaths on a front door are so welcoming. This one is beautiful. I really like the pine cone with the fruit. Pears and apples definitely say "autumn". 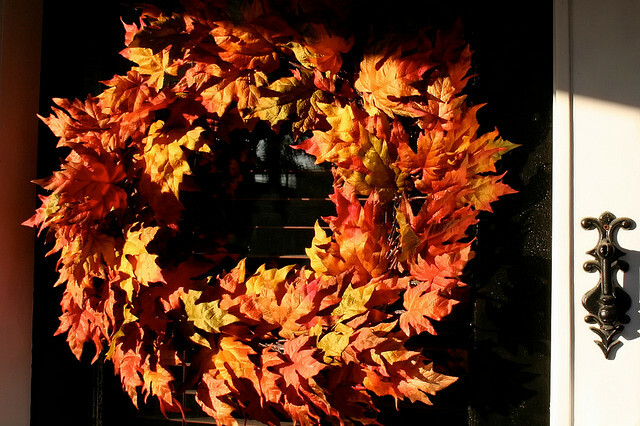 A simple wreath of autumn leaves is very pretty. 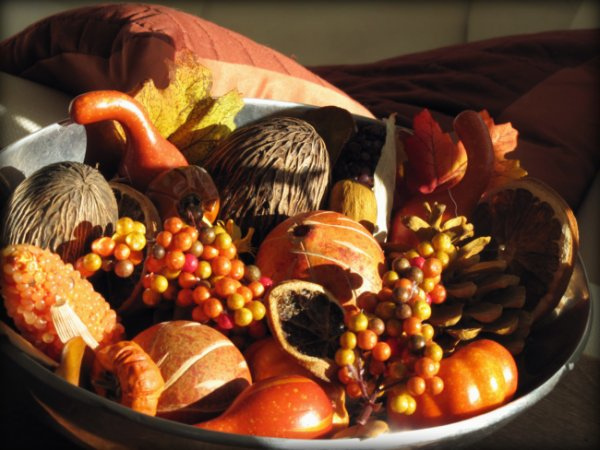 This bowl of fall treasures would make a nice centerpiece for a dining or coffee table. 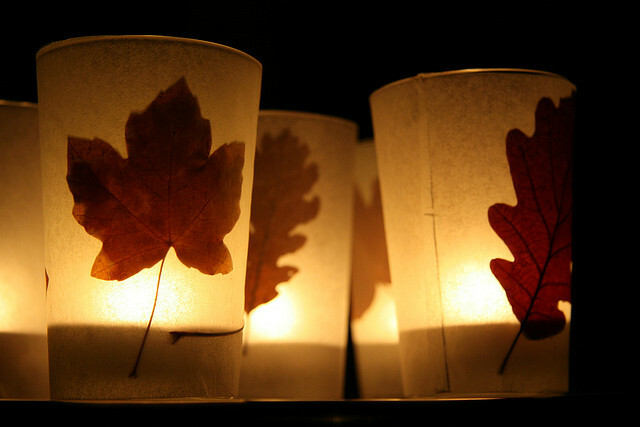 I am in love with these fall leaf luminaries. Anyone have a tutorial for these? Okay, so are you feeling the fall love here? I hope you are. And please, share links to your fall decorating ideas. I'd love to see them.